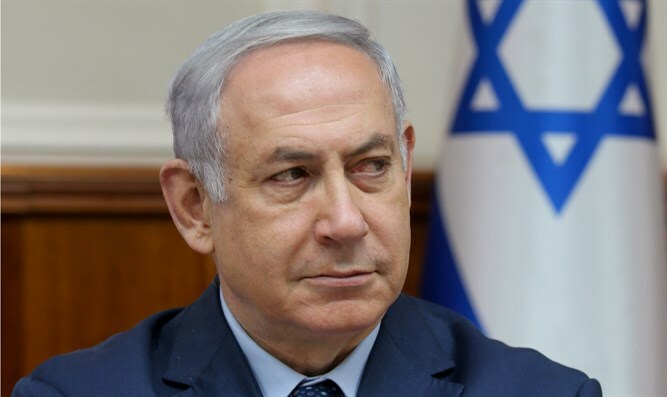 PM Netanyahu cites Hamas admission 50 of those killed in Gaza were its members and that the demonstrations were not peaceful. In a video posted to Facebook, Prime Minister Binyamin Netanyahu said that in a "real shocker," he agrees with Salah Bardawil, the Hamas leader in Gaza who admitted that 50 of the rioters who were killed in the violence along the Gaza border Monday were members of the terrorist organization. "Ready for a real shocker? I completely agree with the leaders of the Hamas terrorist organization who’ve said this over the past few days. Mahmoud al Zahar, a co-founder of Hamas, said that calling the actions of Palestinians on the Gaza border "peaceful" is a clear "deception." "This is not peaceful resistance," he said. Shooting guns and lobbing explosives at Israelis isn't peaceful at all. Or take Hamas leader Yahya Sinwar. He said that the aim of the riots is to, quote, "tear down their border and tear out their hearts." I agree that destroying Israel and killing innocent Israelis is his true goal. Well, how about senior Hamas official Salah Bardawil? He said that 50 out of the 60 Palestinians killed Monday, that’s over 80%, were members of Hamas—in other words, members of a terrorist organization. The same Hamas that has called for genocide of every single Jew. I agree that Israel targets terrorists. Now if you don't believe me, or if you don't believe the leaders of Hamas, just take a look at this video. Palestinians break through Israel's security fence—some of them waving meat-cleavers. "O Jews!" they shout. We're coming to slaughter you! This is what we are defending our families against. And you would do exactly the same".